Should You Let Your Car Warm Up In The Winter? 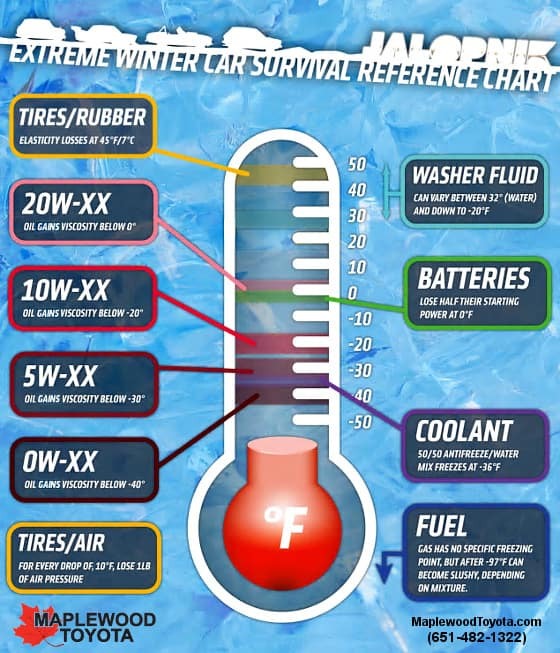 Should you let your car warm up in extreme cold weather? Well, yes and no. If you have a modern fuel-injected engine (i.e. Camry, Highlander, 4Runner, etc.) and the temperature is very cold (think below zero) it would be wise to let the car run for a minute or two before driving off. Allowing the oil to move around a bit is a good idea when it is cold. It will also be a good idea to drive more passively for the first 5-10 minutes in very cold weather. Do you need to let it run for 5-10 minutes? Only if it is an older car with a carburetor. 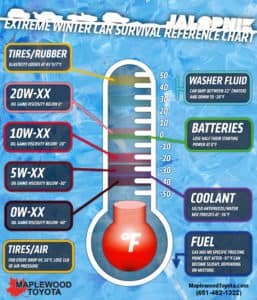 Looking at the Extreme Winter Car Survival Chart, 0W synthetic oil doesn’t start to gain viscosity until -40 degrees. If it’s that cold out and you need to go somewhere, then by all means let the car warm up for 5 minutes or so. Truth be told the engine will warm up faster by driving, and while your engine can handle you hopping in the car, starting it, slamming it immediately into drive and gunning it, that may not be the best idea for the longevity of your engine. You may also want to review the local city/county laws regarding unattended running vehicles. 0 comment(s) so far on Should You Let Your Car Warm Up In The Winter?